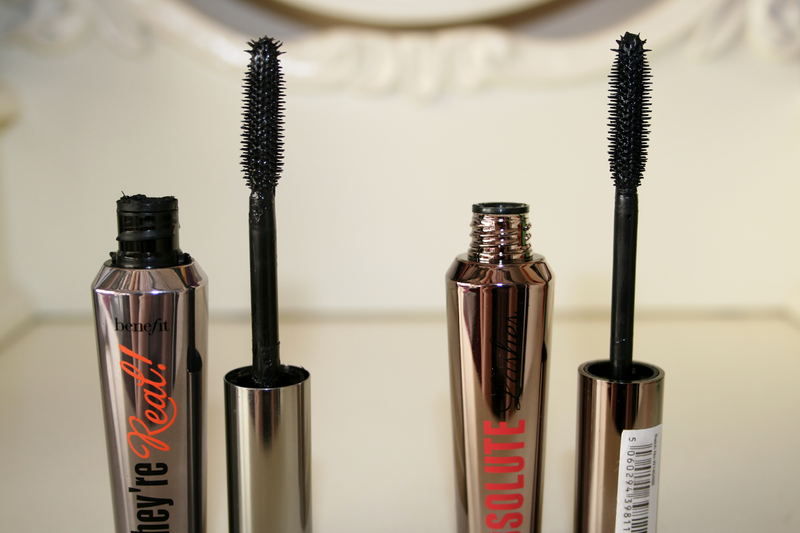 I adore They're Real by Benefit, it is my holy grail of all mascaras but when I seen W7's Absolute Lashes I couldn't help but think the packaging was so similar would the results be? So of course I had to order it straight away to give it a try, because if this done the same job I was going to be saving some serious amount of euros. They're Real will cost you €26 whereas the Absolute Lashes will only put you back €3.50 - €5 depending on where you order it from. The packaging is similar to Benefits with its darker mirrored grey packaging and the company logo on the top of the lid rather than the base of the product. The brushes are almost identical with the plastic round shaped wand with W7's just being slightly thinner in shape. They both last as long as each other, basically not budging until you remove them, the one thing I dislike about the Benefit They're Real is how hard it is to remove it and I know they've brought out a remover but I dont fancy paying €19.50 just to do that to be honest whereas the W7 Absolute Lashes was a breeze to take off and I didn't have to scrub at my eye to get it off which was such a nice change. So after wearing one on each eye for the past while to test it out and let's be honest the best way to compare it to the other was to do exactly that! What I did notice though was the W7's formula was slightly thinner and I had to put 4 coats of it on rather than 3 coats which I normally do with Benefits but in no way would that bother me. So is it a dupe? Yes! I have never found a mascara to give the exact same effect as the They're Real and I am over the moon because it's going to save me a good amount of money. This lasts until its going to be removed and is just as jet black as Benefits. What I also liked was it didn't tend to clump my lashes together as much as the They're Real normally does. With the pros of it being a fraction of the price to Benefit's it's also so easy to remove and you wont have to scrub at your eye which is such a bad thing to do. I'm so glad I picked this up to give it a try because it will definitely be re-purchased a lot! I do recommend picking this up if you can get your hands on it as it's simply amazing! You can check W7's website here for a list of stores that stock their products both in the Uk and outside of the Uk. 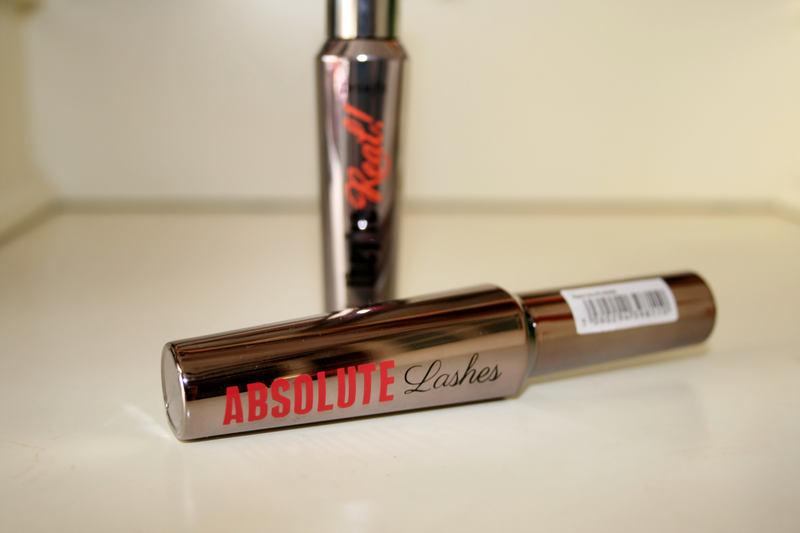 Have you tried the W7 Absolute Lashes? Wow, they look the same on your lashes! I do like Benefit They're Real but it's slightly pricey so this dupe is great! 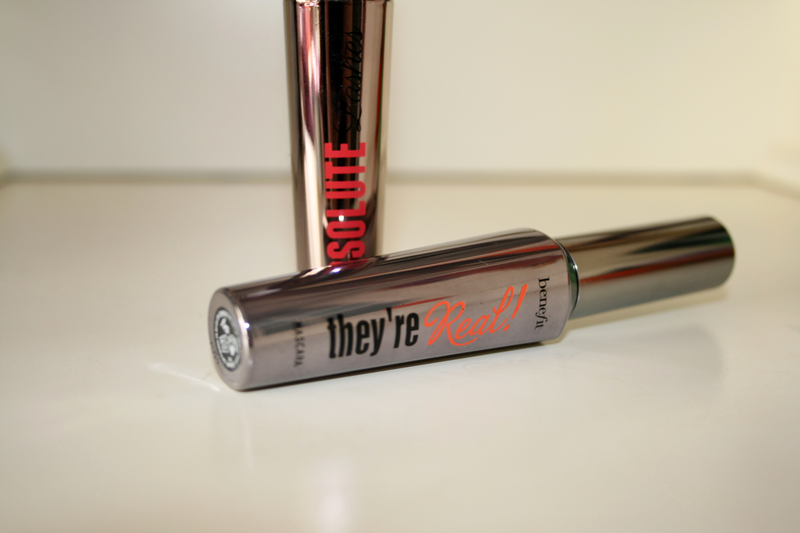 I love the benefit mascara, and this dupe seems amazing! I'll definitely need to check it out! Cant believe how similar they look and even the packaging! I saw you post a picture of the w7 mascara and I'm so happy you've done a comparing post!! Great review, seems a fantastic dupe for a much nice price than the benefit one! Looks like a definite dupe. Will definitely be going to check this out. Need to get my hands on this, I just did a review of benefits they're real and this just looks so similar!